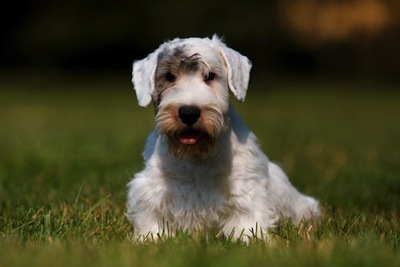 We meet the courageous and cheerful Sealyham terrier, one of our rarest native breeds of dog. Almost three years ago, Country Life’s cover featured a white terrier puppy with a slightly mournful expression and one black eye-patch. The coverline was ‘SOS: Save Our Sealyhams’, and the feature inside detailed the decline of these cheerful, companionable and hard-working little dogs. Since then, and thanks in part to our campaign, breed numbers have been steadily increasing. But who are these appealing little dogs, and where did they come from? The Sealyham story began in the mid 1800s, at the Selayham estate in Pembrokeshire. There, Captain John Tucker-Edwardes, a quintessentially Victorian country gentleman, decided to try to breed a terrier that would make the perfect sporting companion: fearless in the face of badgers, otters and rats. It needed to be white, because he didn’t want to run the risk of it being mistaken for its quarry. It’s believed that he crossed Dandie Dinmont terriers, fox terriers, West Highland terriers and corgis, among others, to create a small, sturdy dog with masses of energy. 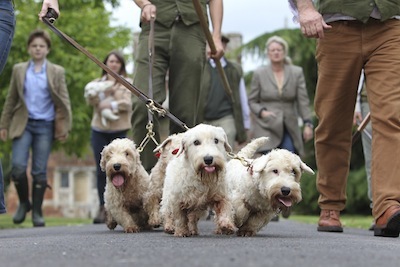 The resulting terrier was finally registered with the Kennel Club in 1910, and found fame thanks to sportsman, MP and breeder Sir Jocelyn Lucas, who used his pack of Sealyhams to flush pheasants and rabbits. Immediately after the Second World War, a Sealyham puppy named Dusty and his owner, a lovable scamp called Dave, captured the nation’s hearts in a series of British Pathé newsreel films. And for a period in the middle of the 20th century, they were the must-have canine accessories for the jet set: Elizabeth Taylor, Humphrey Bogart, Cary Grant and Alfred Hitchcock all had Sealyhams. Even the Royal Family were admirers – particularly Princess Margaret. 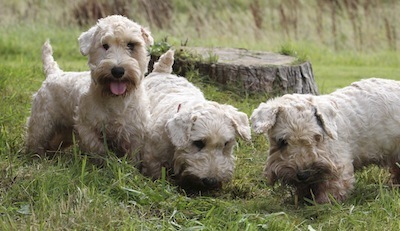 Working Sealyham terriers, of which there are increasing numbers, are a joy to watch in a pack. They’re efficient ratters, and can even be trained to retrieve. Although Sealyhams thrive in a busy family environment, they’re one of the more self-contained breeds of terrier, very happy amusing themselves if necessary. They love having plenty of space to romp about it, but will adjust well to life in the town, as long as they’re kept busy with plenty of games and walks. They have non-shedding coats, but their short-legs and low-slung bodies make them magnets for mud and outdoor debris.